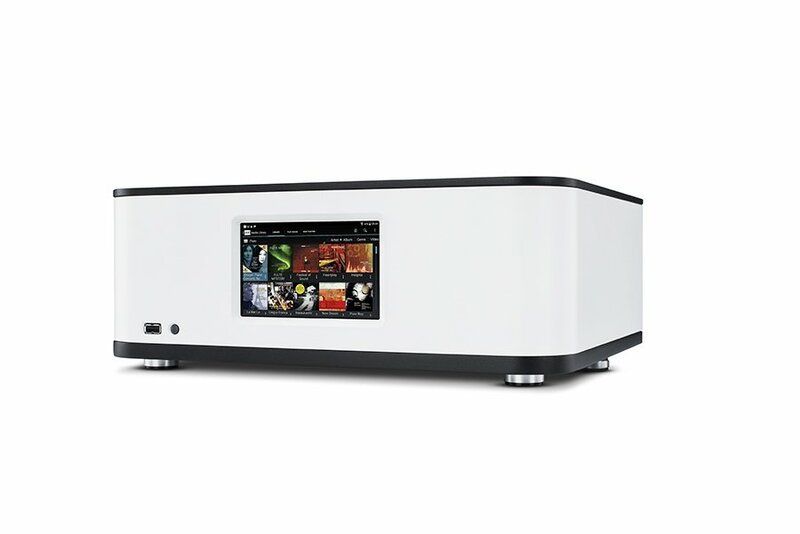 The Convert Technologies Plato Class A costing £3999 will digitise your vinyl, store your films and tunes, has a digital phono stage and now runs in Class A. Janine Elliot takes this modern day music centre for a whirl. As a child I was always intrigued by the Waltham all-in-one music centres available in Tesco. A turntable complete with amplifier, tuner, cassette deck and 8-track player in one box looked great with its complexity of buttons and knobs. Only the sound quality stopped me from finally dishing out months of pocket money. When I first caught sight of the Plato a few years ago I was amazed at just how simple it looked; no buttons and switches apart from the single modest on off button next to the USB socket. But this device was really clever. Now I could assemble all my music and video onto a single hard drive and play it controlled from a separate Android or IOS tablet, and more important, that all my vinyl could be recorded and stored on the device. Using Android engine and Gracenote it will automatically ‘top and tail’ each track and have it all named and numbered without me having to raise anything other than a smile. 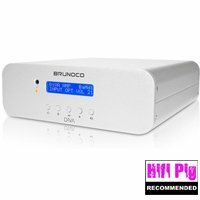 Only at the Bristol hifi show when I asked if the amplifier stage of this all-in one unit was Class A was I slightly disappointed. Until now. As well as ground-breaking ripping technology and facilities, using Gracenote to get album cover and titles as well as track durations so it can edit them accurately (and cleverly allowing a bit extra if necessary if your aged Garrard SP25iv is not quite playing at the right speed), this unit now plays your 24/192 FLACs or 16/44.1 WAVs as they should be, with precision and musicality to make them deserve that centre place on your hifi cabinet. Using the Android operating system this all in one unit is a marvel of engineering and features. 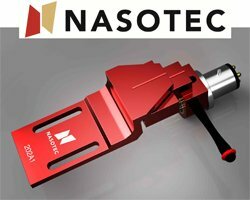 Since moving magnet and particularly moving coil cartridges require significant amplification, it was imperative that the design of the Plato didn’t mean amplification of noise and interference. Consequently the unit is well shielded between the power supply to remove the worry of EMIs and RFIs. The digital design allows for a very quiet phono-stage with plenty of presets to alter the sensitivity, plus adjustments in 0.5dB steps either side; small enough to not be noticeable if adjusting whilst you are recording. You can also choose loads of 100Ω, 200Ω or 47kΩ, and 100pF or 200pF, plus select a rumble filter (>18dB at 5Hz) if your turntable needs it. Ian Ringstead’s fine review in 2015 covers the how and what of the technology so I won’t repeat his findings in this review. 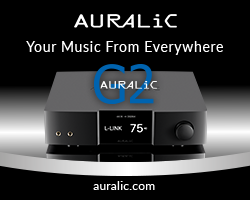 The product now has a Class A amplifier stage to play music you have stored on it, or streaming from the internet. Unlike the standard model using Neutrik Speakon output sockets the Class A model uses conventional 4mm speaker sockets. There are 4 analogue and 4 digital inputs with analogue and digital pre-outputs. 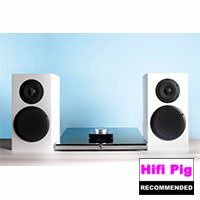 Adding another £1000 on top of the standard Plato, I wanted to establish whether this newly upgraded all-in-one machine really should be the centre of your hifi system. In my review here I connected the Plato using an RJ45 cable to my Virgin network, and playing the great team of Avid Volvere/SME/Benz with playback through the excellent Graham Audio LS5/9 speaker. The choice of the name Plato is easy to understand as it equates the writings of the 420BC philosopher Plato and his ‘The Allegory of the Cave’. In the allegory, people are chained in a cave so that all they can see are fuzzy shadows representing their existence cast on the walls of the cave reflected from a fire that is behind them. This parable also shines the light of truth of our relationship with music, with memories of our past becoming reality in our minds through the use of music. It might have been fuzzy in the cave but with audio up to 24bit/192kHz the Plato is pin sharp, and playing back some of my 1970’s LPs took me back to my own youth. The choice of ‘Entotem’ as the company name is less easy to understand, though Development Director Dave Belcher who delivered the Plato to me explained to me that the word “Ent” is short for entertainment and “Totem” meaning a form of worship (as in the word Totem Pole). I am pleased to say the company producing the Plato is now known as Convert Technologies, an appropriate name for a company using technology to convert from one medium to another and allowing them to ask me and purchasers “Are you a Convert?”…I certainly am. Dave Belcher has himself spent a life dealing with digits, not only designing the Plato but originally working for Philips designing software for CD transports. In 2001 he then joined a fledgling company as one of development team, producing high capacity digital storage which grew to around 70 workers before it was sold to mega storage device manufacture Imation. Using capital from the sale he started Entotem in 2013 as one of 4 directors. The company has now grown to 26 with all building work done at its factory in Derby, and R&D work in Newbury, Berkshire. As a musician I am always amazed at how many different programs are running along in my brain at the same time. Firstly, my eyes decode the dots on the music staves and translates them into note names which then runs a program to convert them to finger movements to press the corresponding notes on the piano, with a separate program checking that I am actually playing the correct notes and another listening to make sure that the frequencies relate to the notes I see in front of me, and doing error checking and correcting my fingers as appropriate. There are lots of things going on at the same time in split second accuracy. Similarly with the Plato, not only can I play and record an album, monitoring the input or listening to what is now on the hard-drive (a bit like a 3 head tape machine of old with the inevitable slight delay), but the program will be busy editing tops and tails of this whilst you are recording the album, and whilst recording the next album, and so on. All recordings go onto the 1 or 2 terabyte SSD or standard HDD hard drive. If at a later date you discover you need to edit the start or end of a track you can do so for a period of time, as the recording process is similar to the SD card in your car camera, continually recording until it gets to the end of the hard drive and starting all over again. The editing system is very easy to navigate and accurate in use. The only problem I found was that if the screen goes blank (as it will after a set time) then if it needs a command from you, such as deleting two versions etc, then until you see the request it won’t do anything. Convert Technologies are presently working on simplifying the technique of exporting your recordings onto a USB stick, if you want to put them on a portable hi-def player, for example. Only the album thumbnails can’t be exported, due to copying politics, though I have in the past copied jpegs of albums and inserted them into the album folders, which gets over that issue. Only once when asking it to export recordings onto a USB stick connection on the minimalist front panel did it show any signs of confusion whilst playing different music at the same time, though the company assure this minor glitch is now sorted. Also, as someone used to knobs and buttons, using technology such as this can be a little frustrating. If you suddenly get that phone-call and need to hit the pause or turn the volume down you will need to first refresh the Android and get to the correct page to turn the volume down, and by that point the phone might have gone to ‘missed call’. A separate miniature remote for refresh screen, volume and mute would be my pennyworth of ideas, though I guess I am just showing signs of old age. 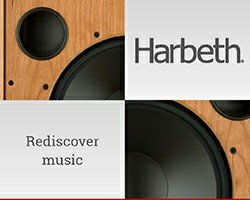 Whilst my suggestion of creating a Class A amplifier at that hifi show might not have been heard, I am so glad that this is what they have now done. Plato Class A is essentially a Class A/B design with class A operating until 8W (8Ω), which is more than you need, and the class B stage will allow those peaks up to 50W. Some Class A/B amplifiers only go a few watts before switching over, so this was a good plus. 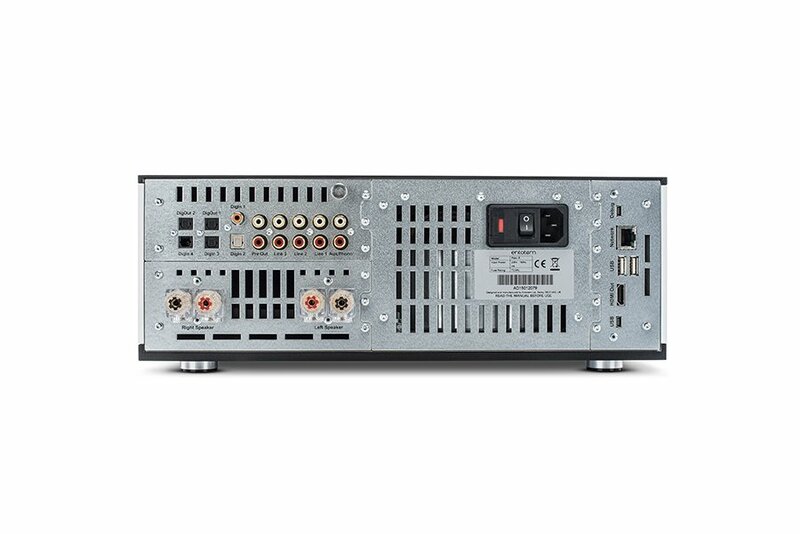 If the internal temperature surpasses the normal operating range then the amplifier will automatically operate in class B mode until returning to normal operating temperature. Signal to noise is a respectable >110dBa (45W/8Ω) with total harmonic distortion less than 0.0008% at 1kHz/1W. The design is meaty enough to play my LS5/9s with gusto, especially in the speed of the bass and extreme clarity on top. David Gilmour ‘Rattle that Lock’ is one of my favourite albums, not least because of the great production and clarity of the music. Bass lines are extended, tom toms are meaty and guitar solos are effortlessly transparent and treacle to the ears. “In Any Tongue” might be one of the weakest tracks on the album, but David squeezes emotions with his guitar that I found I could well understand what all the fuss was all about. “Beauty” had effortless piano and string beauty about it that seemed consistent with much of the music I played. 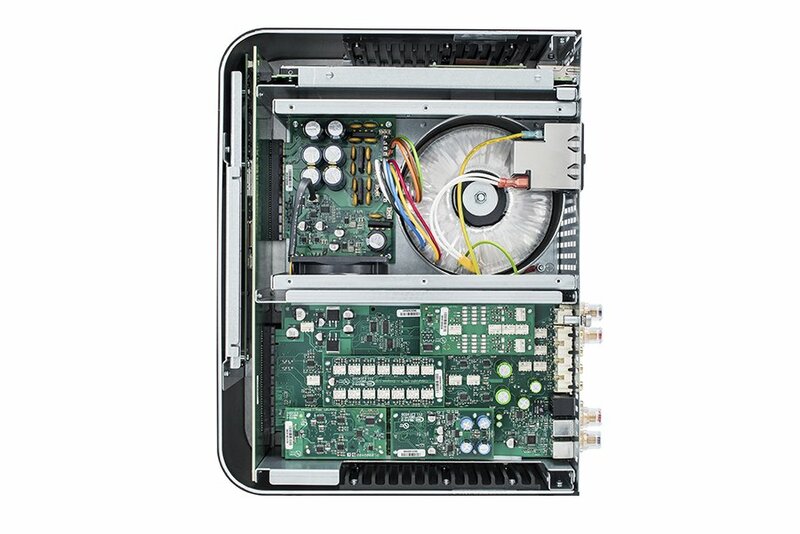 The Class A amplifier was very musical and still quick in delivery and open in sound. It wasn’t lethargic like many amplifiers at this price point. Then when the Gilmour track starts to liven up, the added cymbal rhythms showed just how quick and clear a digital phono-stage could actually be. 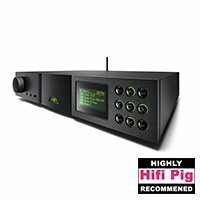 The Gilmour album has an extremely wide range of gain, but the phono-stage allowed even the quietest point of the music to be crystal clear. 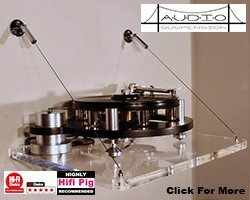 With a range of adjustment for input that would embarrass even the most equipped conventional phono-stage, and which could be altered on the fly, there was plenty of room to ensure your recordings didn’t hit that overload point, as digital distortion is much less forgiving than analogue. Ray Davies ‘Working Man’s Café’ was particularly clear, and showed some of the kinks in the elder’s singing voice that might have worked in the 60’s, when he was lead singer in the band called the Kinks. “The Real World” is a weak track, but the Plato gave the music so much depth and space that I could start to understand Ray’s vocal and his concern about a girl with a Harvard Degree who decided to waste it all by working in a bar in New Orleans. He sang about her getting reality in her life, reliving Plato’s Analogy in the cave. The music was in charge now. London Grammar ‘If You Wait’ is an exceptionally well recorded and mastered album on 45rpm. “Stay Awake” showed the extended and powerful bass with Hannah Reid’s voice calm and controlled; a mixture of Florence and the Machine, Judie Tzuke and Goldfrapp. The trio produce sparse music with plenty of reverbs and effects over her voice and the Benz cartridge on SME iv arm gave a very detailed and painless performance that showed just why vinyl cannot be beaten, admirably transferred to 24/96 in my Plato recording. David Gilmour “The Blue” (from ‘On an Island’) was an effortlessly sublime multicolour pastiche, with deep bass and crisp ride cymbals with clear singling out in the soundstage of harmonica and Hammond organ sounds and distorted guitar. I was in a sea of ecstasy playing this through what is effectively a £1600 power amp. Whilst you can pick up the 2T HDD Plato Pre for £2400, the addition of the Class A amplifier within the single box is a very attractive proposal. Whilst class A amplifiers cover a vast multitude of prices and specification, this modest set up is highly rewarding and the fact it means you can have everything you need (apart from the turntable) now in one attractive box means the days of the music centre are well and truly back. Build Quality: Minimalist, well-built design, with solid aluminum curved fascia and modular design, available in any colour if you add £300. 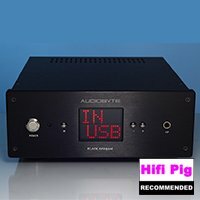 Value For Money: This is a unique product, and now with a good class A amplifier meaning you can have all your musical eggs in one basket at a very reasonable price. Just wish there was a volume control and headphone socket!